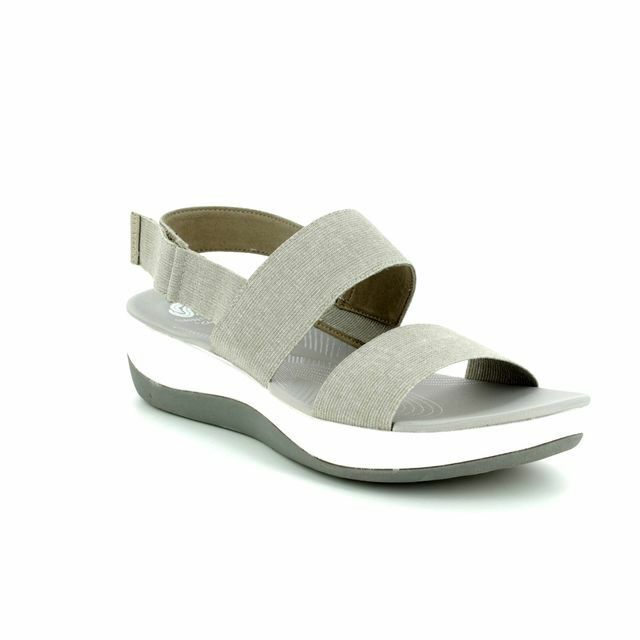 Clarks brings us 3403/54D BRIZO CADY a sporty style sandal in a stylish neutral sand colour. 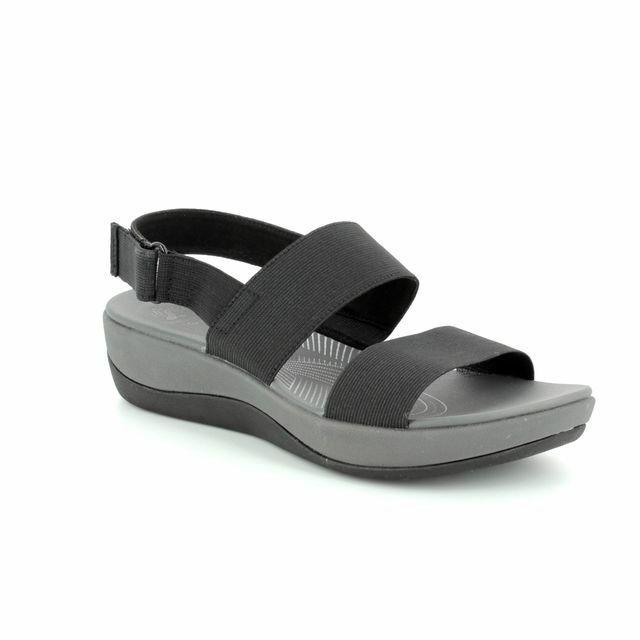 Part of the Clarks Cloudsteppers collection these sandals are designed for maximum comfort while walking so you feel like you are walking on cushioned air. The midsole and footbed are made from EVA which is lightweight and shock absorbing which is combined with Clarks Cushion Soft foam padding over the footbed for ultimate comfort. The sole is made from thermoplastic rubber which is durable and provides good traction. 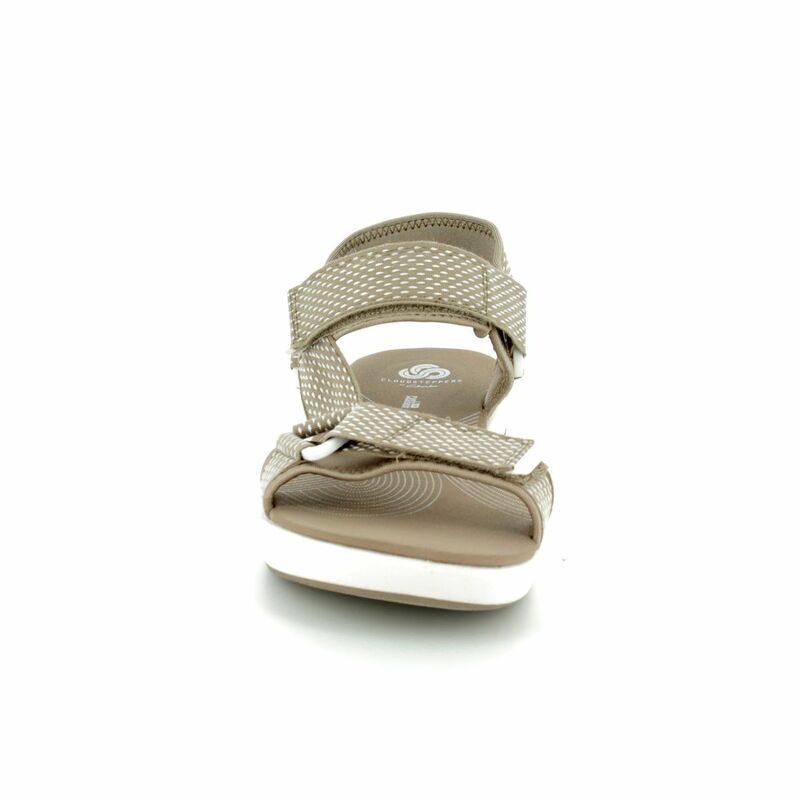 For a secure fit this reef style sandal has adjustable riptape fastenings over the toes and the front of the ankle. The woven textile straps are lined with a neoprene-like textile for comfort next to your skin. 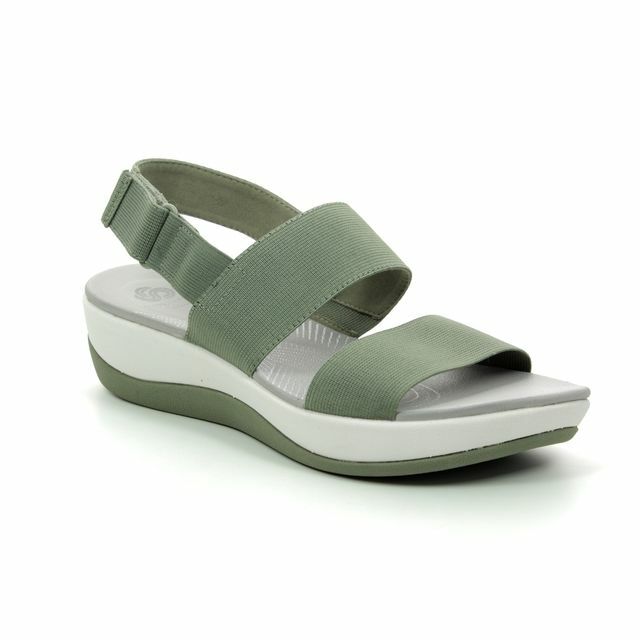 Buy your Clarks women's sandals from Begg Shoes, an official Clarks stockist.